The Grammy-award winning, platinum-selling, high priestess of R&B is back. Mary J. Blige returns to the UK for a series of concerts not to be missed. Starting on 2nd November in London and stopping in Birmingham and Manchester, she will be joined by the UK’s very own soul star Lemar as special guest support. 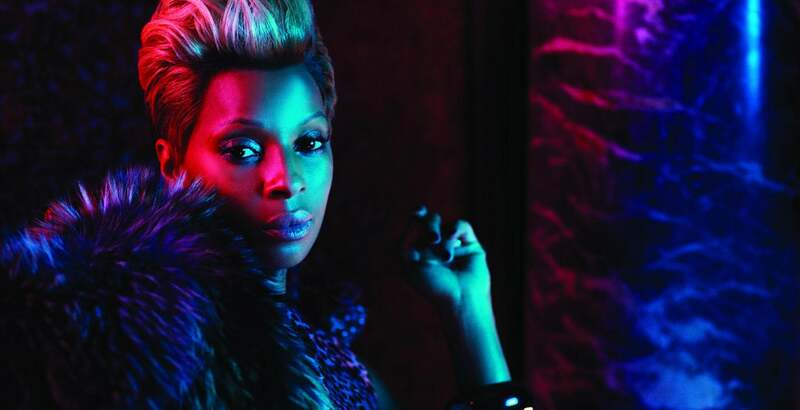 Mary J. Blige will be performing records from her huge repertoire of Hip-Hop Soul anthems that include the hits; You Remind Me, Real Love, I’m Going Down, Mary Jane (All Night Long), Not Gon’ Cry, As, Dance For Me, No More Drama, Just Fine and the most recent, Each Tear (feat Jay Sean). Tickets are priced from £40.00 (excluding booking fee) and are available from www.aeglive.co.uk on from Thursday 2nd September at 9am. Mary J Blige has always been at the top of the R&B world, making beautiful and moving music that touches people from all walks of life at any age. A huge part of Mary J. Blige’s unique talent comes from her unmistakeable gorgeous voice mixed with the talent to bring hard hitting lyrics to life, convey drama and speak for others. In concert Mary J. Blige is even more outstanding, captivating audiences and delivering sensational performances that owe her that deserved title – the Queen of R&B. Mary J Blige will be supported by the multi-platinum selling home-grown superstar Lemar. The BRIT and MOBO Award winner who has helped put soul back on the pop map, has sold over 2 million albums and had six top 10 singles including ‘If There’s Any Justice’, ‘ 50/50’ and ‘Time To Grow’. This will be the megastar Diva’s first UK tour in over two years and follows the critically acclaimed, Stronger With Each Tear which reached Top 5 on the UK R&B chart and No1 in the same US Chart. This latest album has as its central theme the idea that we know that if we want to achieve anything we have to accept that our work is never over, and by keeping going, all the trials, tribulations and tears only make us stronger. After 15 years of success in the music industry, including nine Grammy albums, eight multi-platinum albums and over 40 million albums sales, Mary J. Blige is certainly one who practices what she preaches. Not content to rest on her laurels, she is still looking for new challenges. As well as being in charge of Matriarch Entertainment, her music, film and TV company, Mary co-executive produced the soundtrack to the critically acclaimed film “Precious”, appeared alongside Elvis Costello on the season finale of “30 Rock”, as well as taking on an acting role in Tyler Perry’s comedy drama “I Can Do Bad By Myself” (where she played part of a ‘Greek chorus’ alongside Gladys Knight).